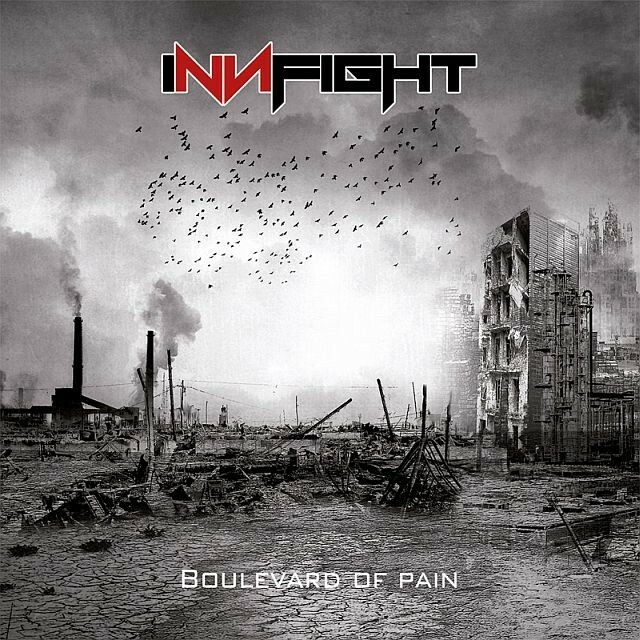 Innfight were formed in 2013 in Germany and started recording 'Boulevard Of Pain' in 2014. The result is a heavy Alternative Rock album, packed with thick plodding guitar riffs. The keyboards take more of a front-seat compared to most bands who use them, often opening tracks and accompanying the vocals in softer sections. With the keyboards, the band has gone for a slightly more electronic sound, adding to the Alternative feel of the album. 'All In' kicks off fast with little introduction, knocking out twisting guitar fills. 'Liar's Place' brings in Innfight's heavier sound but it's injected with rhythm rather than just pounding away. 'Till I Fall' contrasts a tinkling keyboard with a growling, simmering guitar, giving the track an almost Funk or Electronic quality. The way the track explodes open makes it really stand out. 'Memories' instantly reminded me of Sixx A.M.'s debut album due to the haunting quality of the keyboard, the feeling of a story behind the lyrics and the climactic chorus. Vocalist Frank Widderson doesn't explore a wide range but he has a charismatic, blunt vocal delivery which almost acts as a grounder for the often-soaring keyboards and guitar. However, the songs can often feel constrained within a very narrow melodic range; around the middle of the album it can start to feel like it's droning a bit. The guitar solo on 'Heart Like A Stone' breaks this up by running up the guitar neck, but it's a brief respite. 'Something New' delivers what it says; a chunky, jagged rhythm and keyboards like something off a spy-thriller. Closing track 'Lights And Shadows' is one of the softer tracks, using more of a piano sound for the keyboards. It's a little dreary but closes the album out nicely. 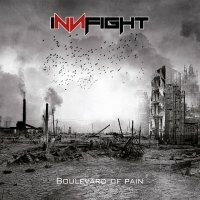 There's a lot of sound packed into 'Boulevard Of Pain' though not too much innovation from song to song. Overall, a fairly bland but competent and, at times, catchy, Alternative Rock album.